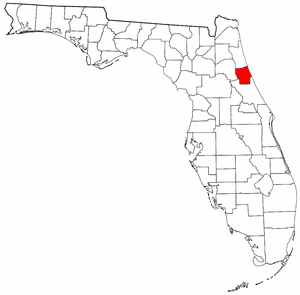 Flagler County was created in 1917. It was named for Henry Morrison Flagler, a famous railroad builder who built the Florida East Coast Railway. In 1998, when two brush fires threatened to become one huge brush fire in Flagler County, a mandatory evacuation was ordered for the entire county. This was the first, and so far the only, time a whole county was evacuated in Florida.